May is undeniably the preferred month for European dividend growth investors. With most European companies paying a dividend just once in the year, May feels like Christmas during spring time. Our income charts see a strong spike upwards and so does our investor’s spirit. Naturally, every month is a small step closer towards our end goal – financial freedom or early retirement. But to me May emphasises those small steps even more. It provides an often needed mental boost after the first quarter of the year. And judging by your comments on previous articles I dare to say that I’m not the only one who feels this way. Now more than ever it’s become clear to me that saving a large portion of your income and investing it for the future is an excellent strategy to build long-term wealth. Just take a look at my booming net worth to see what I’m talking about. However, as a dividend growth investor I try to take advantage of more than just capital appreciation. Indeed, my main focus is on sustainable and steadily growing dividends. That’s passive income in the form of earnings distributions by the companies I own a small piece of. It’s here that the power of compound interest plays a big role: re-invest those dividends and you’ll be sitting on a mountain of future cash flow. Ultimately, that passive cash flow exceeds your expenses and will render you financially independent. At the start of 2016 I set my sights on a €1,500 dividend target. 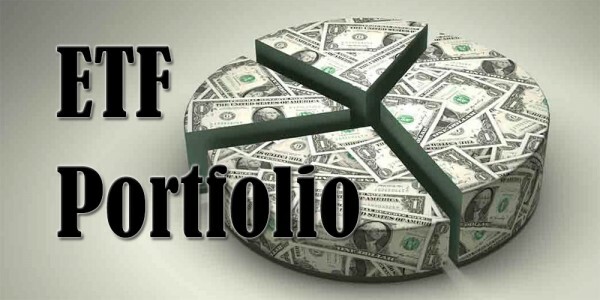 While that number may be a long shot, I’ve found that it’s relatively easy to put together a portfolio that throws off a sizeable amount of income each and every year. At the moment I’m nearing 1,300 in forward dividends – an amazing feat in under two years in my opinion. May turned out to be similarly amazing, although a bit interesting. Two additional companies forwarded me a piece of their profits compared to one year ago, but one of my largest positions changed its dividend policy due to increased taxes. As a result, my May income hasn’t skyrocketed like should be expected. Twelve payments – that’s twelve businesses forwarding me a piece of their profits simply for being a shareholder that believes in their business model, amazing. As you can see, the majority of dividends comes from European stocks with beer giant Anheuser-Busch InBev (EBR:ABI or NYSE:BUD), healthcare mogul Sanofi (EPA:SAN), and cinema chain Kinepolis (EBR:KIN) pulling a lot of weight. Interestingly, Home Invest Belgium‘s (EBR:HOMI) payment fell from last year’s 3.75 Euros per share to just 0.25 Euro per share as a result of the aforementioned tax change. In an investor-friendly move management decided to pay out another 3.75 Euros last year in December under the old tax laws one final time. As a result, the 0.25 Euro payment this month should be considered a final dividend for the 2015 fiscal year. In total, I raked in a whopping €142.93, the second highest number yet after December 2015. Furthermore, May marks the third month in a row that I manage three digits in free-of-work income. That’s a ton of real purchasing power straight into my pocket! Even though my investments didn’t propel this month’s dividend forward like I expected, my total dividend income still managed to grow by a solid 21.47%. Most of that increase obviously comes from my continued efforts to save and invest as much as possible, but a small portion also comes from organic growth. It’s what I’ve previously called the double dip effect. Unlike me, the companies I own a small piece of don’t know what downtime is. They don’t sleep or go on vacations – no, they continue to work tirelessly to increase their bottom line and earnings, and thus my future dividend income. Their ceaseless efforts are reflected in the chart below. At the moment I’m hovering at an average monthly income level of 39 Euros for the entire year. Last year it took me until August to get to that number, so I’ve got three months on 2015 already. Considering that Home Invest Belgium’s dividend isn’t included in this year’s numbers I’d say that’s mightily impressive! Of course, I won’t stop there. I’ve already put additional capital to work in US-based chip maker Qualcomm Inc. (NYSE:QCOM) by quadrupling my position. On top of that I’ve doubled my stake in British utility National Grid plc (LON:NG). Both investments combined boost my annual income by €68 after taxes. 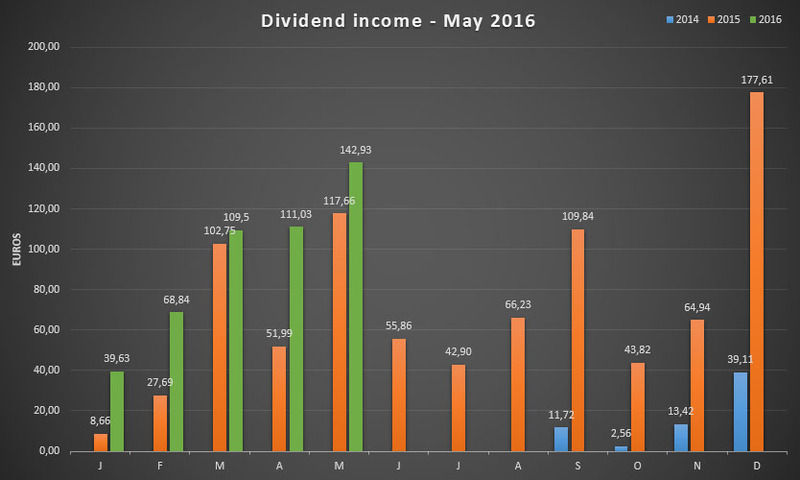 When we add May’s income to the dividend piggy bank, we’re already at 471.93 Euros for 2016. That’s 30% of this year’s goal – not too shabby, but it seems unlikely that I’ll get to the €1,500 threshold. However, that won’t get me down. I already feel like I’ve won the big lottery ticket simply by being able to afford a journey towards financial freedom – what a luxurious position to be in! Some call it crazy, but I’m still convinced that regularly saving and investing any excess cash you run into forms the bedrock of a financially secure and potentially free life. Sure, I might not be able to afford everything I want, but I certainly feel like I can afford anything I want. Thank you for reading and for your continued support. Without you readers this journey wouldn’t be nearly as fun as it is now – I’ve rediscovered that after my small hiatus. How was your month in terms of dividends? Did you enjoy the European dividend season as much as I did? May has been the best month in my investing career so far, with a net dividend income of €381. Mainly thanks to Solvay, Intervest, Ageas, Euronav, Basf. Unfortunately next months will be pretty low dividend wise so this boost is very welcome. Aren’t dividends great? They come almost automatically and often I’m surprised by a new dividend announcement – it greatly lifts my spirit. I agree though that many companies are highly valued at the moment, especially after the market lift of the past weeks. I’m having trouble finding new acquisitions for my portfolio, but there have to be some hidden gems out there. When I look at the list of companies that paid you a dividend this month, I think I’d love to own a piece of Solvay, Ageas and BASF too. Congrats for the nice selection of stocks! NMW, congrats on your excellent results! For me May also brought a new dividend record as well as a new all time high of my net worth. Very exciting! Yesterday I actually did something I usually don’t do. I sold my entire stake I had in AB InBev. It seems way overvalued to me right now. I intend to get back in eventually at a more reasonable valuation. Thanks, I’m really happy with this month’s results! And I’m glad to hear your broke into new territory too with your dividend income. Isn’t May just wonderful? Interesting strategy you follow with AB InBev. It seems like Bill Collins (see comment below) is doing the same thing. Although I agree that InBev is on the upper side of its valuation, I’m not inclined to sell. As long as they keep their dividend payments coming, I’m a happy shareholder. Exactly the same dividend income from Sanofi for me. I own none of the other names but may get into ABI after I get the cash for my SABMiller shares. True! I noticed it on your blog – we both own 15 shares. I must say that I’m probably going to buy some more over the next couple of days or weeks. Sanofi is just ridiculously cheap right now. Looking forward to having you as a fellow ABI shareholder! The 4% is definitely tasty. I’m looking at building up a position in GILD. Midtown applied the same strategy as you (see a couple of comments earlier): selling InBev and getting back in at a lower price. I agree that its valuation is a tad high, but I wouldn’t think of selling, even though Bayer is a great company. I hope this move pays off for you! Very interesting to see, as always. I just started my investing journey at the beginning of May, which means my portfolio is still fairly limited. I was however just in time to receive my very first dividend thank’s to AAPL. A bit shocking to see however what’s left once you subtract the foreign witholding tax (US = 15%) as well as the Belgian tax on dividends (which is 27%, not 25% like you mentioned I suppose..?). Looking at their current price, I think Qualcomm might be a wise investment indeed. Solid P/E, a nice and low PEG. Definitely something I’ll think about as I expand my portfolio. I understand the concept of sticking to mainly blue chip companies, which can weather the storm when necessary, but whenever I look at their fundamentals (high P/E, high PEG, etc,…) as well as their current share price (which is pretty close to their 52wk high) I just start to look elsewhere. 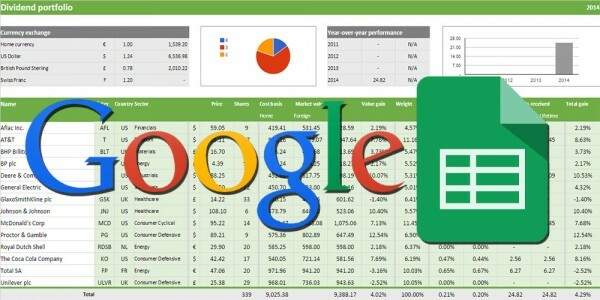 I’m aware these are typical “buy & hold” stocks, but it just find it extremely hard to convince myself..
Is there a way to track your portfolio in “realtime”, perhaps via Google Sheets? I’m aware of the Portfolio tab on your web page here but it would be cool to see how your current investments look like. Glad to have you on board the dividend growth investing train! Even though I’m not a big fan of Apple, I wish you all the best with one of your first investments. The Belgian tax on dividends is 27% indeed in stead of the 25% mentioned in the article since the federal government increased it by 2% this year. The error has been corrected, sorry. 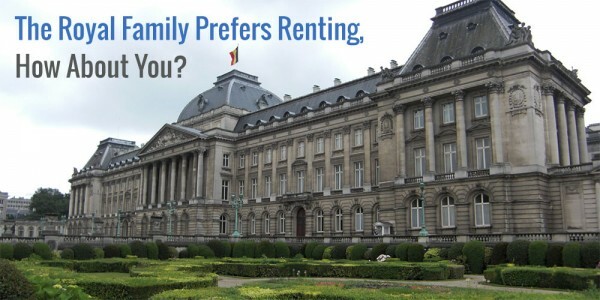 Double taxation remains a big issue for us Belgian investors. I seriously don’t get why the European Union doesn’t step in. Double taxation is one of its core economic and fiscal principles, except when applied to individual investors? I understand why the US would retain a bit of the dividends and then our national tax authority another bit, but between European countries there should be no double taxation. I agree that a lot of blue chips are highly valued, but there are some bargains to be had now and again. The previously mentioned Sanofi here in the comments is one of those bargains in my book. Besides, in the long-run you’ll come out way ahead anyway. Remember that it’s time in the market and not timing the market. I nevertheless hope that you find some nice entry points for your favourite blue chips. Sadly my portfolio can’t be tracked in real time because the Google Sheets spreadsheet I use is modified a bit to include personal details. I’ll look into making another one for you guys to follow along. I’m sure you have already looked into this, but with many countries you can claim back the withholding taxes you paid on your dividends. Whether or not it’s worth the effort very much depends on certain treaties between the country you reside in and the one which withholds the tax, as well as absolute amounts in question of course. There are even some blogs out there which share their experience with filling out the necessary forms. as a German investor, May went well for me, too. In fact, it was my first (and probably only for this year) really rewarding month regarding dividends. Like I said, though, I want to spread my earnings more evenly in the future. Plus, I clearly need to diversify my portfolio more – income from twelve companies in one month, that’s impressing! Great companies to be invested in! Congrats on your May income! Over time you’ll get to the same level of diversification I’m at. Just keep investing every month and slowly building your portfolio. Before you know it you’re receiving a dividend every other day. Hey NMW, Solid gains for sure. Nice to see a third month in a row with €100+ dividends. And a yoy of 21.5% is nothing to be disappointed about. Good for you! Thanks, Team CF! If I can keep the 20%+ YoY growth up I’ll be one happy camper. you seem to be a fellow German investor! What do you think of Hugo Boss? I thought about buying some because they lost around 50% since all-time-high and have a >5% yield, but on the other hand, the fashion industry appears to be in crisis – what’s your opinion? As you already said, i bought Hugo Boss because the fashion industry has a hard time at the moment, the dividend yield for me is ~6,5%, i expect that Boss cut the dividend next year in a range between 20 and 40 %, but even if they cut it 50% my yield would be 3,25!! Normaly i don`t care to much about charts, but if you look at it, you see exactly the same situations in 2008 and 2001/2002, after this periods the stock always recovered very strong, so why should this time all be different?? So for me there was a lot more positive points than negative… i like strong brands and i like to buy if a stock is realy unpopular.. I will keep having a close look at Boss in the future, but as I plan to increase my share of foreign stocks, I will probably wait a bit – I just started out with investing, so there is still some time left. As you can tell from my name, I’m German, too. So we could easily discuss in German, if there is any other way for us to talk than here (I think we need to stick with English here, though, so that everyone can follow our conversation). I could easily understand your points – I guess your English is much better than you think! I think it’ll be a great idea if we could discuss in German, you have an idea how we could Do that? I’m going to delete the picture once completed! (Let’s see if this one makes it through the filter, first one failed). You’ll get there, buddy! I had just 12 companies not too long ago. Just keep at it: save as much as possible and invest those savings in quality businesses. Besides, your dividend income already trumped mine this month. I would love to own Fresenius in the future! Great progress, love seeing that up trending chart. Over 20% growth is pretty awesome. You have a few stocks that I don’t own and haven’t really look into. Should spend some time looking at them to see whether we can further diversify. Haven’t tally our dividend income for May just yet. I think we should once again get over $1,000 for May. Definitely look into the stocks I own. They’re almost all great dividend payers with a rather large margin of safety. Of course, they couldn not fit your profile, but that’s up to you. If I made $1,000 right now every month I could FIRE immediately, ha! Congrats, buddy. Great month for you. I was unaware that most European companies only pay and annual dividend and that it’s paid in May. Your growth is fantastic. In some European countries it has to do with regulations, but in general most European companies prefer an annual payment. Most British stocks stick to a semi-annual one. Be sure to keep that into mind when you’re investing over here! Keep crushing that FI. Looks like you’ve put in some solid work, and the best part is when we start to see those results of all that work! Thanks, man! Seeing the results of my hard work is what keeps me going. Well, “hard” work. Don’t actually have to work that hard at all – which is the best part of dividend income and getting towards financial independence! Killing it! $25 up YOY, making moves NMW, keep mowing it down and building it up! Thanks, Lanny! Looking forward to crush the €200 mark next year! A nice result: 20 pct increase. Still a strong month despite the HOMI tax-move! 12 little workers that pay you is nice. HOMI doesn’t really impact my overall income (apart from the 12% tax increase, of course), so the move to December isn’t too bad. Another healthy sum brought in with a healthy year over year growth too. Looks like many great companies paying you though I’m not familiar with KIN. Never heard of that one. Keep up the good work and I always enjoy reading these updates. Thanks for sharing. Thanks, man! Appreciate your support. Kinepolis Group (KIN) is a mid cap from Belgium. They mainly operate theatres and entertainment venues. Even though they’re currently expanding throughout Europe it’s no surprise you haven’t heard of them. The initial numbers when just starting out are by far the best. Double-triple digit growth numbers for a y-o-y basis are great for stimulation to keep moving forward. Now keep going! Tracking your months real income recieved is great for stimulation. But setting a goal for the full year is not a good benchmark for dividend investing and is actually demoralizing. Basically, you’re setting yourself up to fail this way, no matter how hard you try, without realizing it! Reason is that when you invest in new income, part of the new earnings might be scheduled in months already passed. Take your new National Grid purchases, for which part of the dividend comes trough in januari. Those wont count towards your $1500 goal this year, because you didnt own them back in januari. So this buy actually negatively affects your ability to reach your goal for this year, which just does not sound right. So for the full-year income goal, I would strongly recommend to stop looking at how much income is recieved, but instead look at how much you project to get nenxt year. Basically say ‘ on 31st december 2016, i want my expected income for 2017 to be >1500’. That way, the ex-dividend dates on any and all new purchases (will you still recieve this years full dividend yes or no) will not affect your full-year milestone. That way, every purchase you make will instantly increase your yearly goal and set you up for win! You make a valid point! It’s something I’ve been thinking of too in the last couple of weeks. What’s more, I feel like I start chasing ex-dividend dates to lock in a dividend to reach my 2016 goal. From next year onwards I’ll definitely be looking at my projected forward income instead of actual income. May’s when most of my dividend income for the year comes in – yippee!! Then a quiet summer wait for the next lot at the start of autumn, then wait for the next year to come round. All my share choices tend to announce results around the same time. I don’t have a fixed dividend forecast, I project want I think the dividend maybe the next year/s based on consistent historical changes in the dividend, companies payment policies (subject to performance), and to a lesser extent analysts projections. Through the year the forecast changes as and when add to my portfolio, I usually conservative on what I think with be declared and adjust upwards. Ha, seems like you own a lot of European and British stocks then if you have two big payout moments every year! Those really big months are fun, but there’s something to be said for quarterly payouts too. Great dividend income you have there, 3 digit in May , it is nice milestone to acheive. You have nice comppanies in your portfolio. Hi guys. NMW I enjoy reading your blog! But I have a question for all of you guys living in countries which have a ‘wealth tax’ such as Netherlands, Swiss and Norway. Does DGI makes sense in our countries? For example Norway does have a withhold tax on dividend of ca. 28% and a wealth tax (on the current net assets including stocks) of ca. 1%. In practise this means that for a company paying 3% dividend, 28% of the 3% is lost to withhold tax and additional 1% of the current share price is taken as wealth tax. This means from the 3% gross dividend the netto will be 1.16%. And since stocks are likely to rise in value, so will the wealth tax. Does DGI makes sense for us? Any thoughts? Greets! Thank you – I appreciate you taking the time to leave a comment. I can’t speak for other countries, but Belgium doesn’t have a “wealth tax”, nor does it have a tax on capital appreciation. We do, however, have a relatively high tax on dividend income at 27%. Taxes are an important part of investing, but I wouldn’t let them define my strategy. True, they’ll eat into your return, but often there’s not that many alternatives. I believe the Dutch have a 1% wealth tax above 24.000 euros (or something along those lines)… Why get all worked up about it? The only thing they can do to avoid it is to move abroad, which isn’t an ideal solution at all. Yes, it’ll slow your progress towards FI or the compounding effect of your DGI strategy, but the alternatives are often impractible or even worse. Amazing income already, especially at your young age! Keep it up and you’ll see that number skyrocket over the coming years. 142 reasons to be cheerful – great job and a nice increase over last year. Great to see another Belgian doing so well! It seems you are building a nice portfolio there. Thank you for the kind words! Doing my best to build a diversified portfolio, one step at a time! Another great month – keep up the great work, NMW! May was a good month for me but not the best so far (which was April). June should be better as my ETFs will pay out. Since you own a bit more British stocks it’s no surprise that April is your best month. Looking forward to see you lock in those dividends in June! Glad to see you’re efforts are starting to pay off. Just keep it up and you’ll see a dividend cheque coming every month! Agreed, sharing your goals and how your doing and interacting with like minded people does make it more enjoyable. Glad to see your still ahead even after the tax man. Thanks, DFG! Glad to have you onboard! And you decided to finally step out of the shadow – awesome! Just took a quick peak at your blog: looking forward to see your journey unfold. I became interested by Dividendmantra. But it is the stories from guys like you who are truly inspiring and eventually led me to join you. And i think by sharing the story you are more obliged to continue the effort. Otherwise i probably would jump ship as soon as i am getting bored. But by interacting you maintain focus, enjoyment and inspiration. Very interesting Dividend Portfolio. Thanks for sharing! I recently found your blog and took the time to read almost every post, however I didn’t review all comments. Therefore I still have a question which maybe has been answered before. If I’m right your dividend income is a little over 2%. Your dividend portfolio has a little over 30 different stocks in it, which is spreading-wise not very much. You are also familiar with ETFs. Therefore I’m curious why you are trying to beat the market yourself with a limited spread, while you can also invest in high dividend ETFs like VYM (Vanguard High Dividend Yield). Costs are as little as 0.09% and this ETF is even part of the free selection of broker DeGiro. Don’t think your individual stocks can beat that. Furthermore, the spread is 428 different stocks and the SEC yield is 3,2%. Wouldn’t that be much easier? Please note that I don’t say it’s more fun, because I assume that it’s a great feeling when your personal stock analysis seems to be successful. He has put in 42.3k euro in stocks, and currently nets almost 1300 dividend per year right now. Thats a yield of nearly 3% AFTER taxes. Thats much higher than the 2% you believe he earns. Personally i have similar numbers, currently sitting on 3,32% in net passive income (and 10% of my money is hardly doing anything, as its in gold/silver right now). This is helped mostly because i’m not in Belgium with their insane tax numbers. Now look at VYM which is 3% BEFORE taxes (with 15% foreign tax and 27% belgium tax, you are looking <2% net income) – so result on passive income is much lower already. Not to mention the yearly fee which dont apply to regular stocks. Reason is that most ETF's always contain a relatively large quantity of defensive stocks which are at/below 2% yield. Also ETF's dont do buy-and-hold. They also keep adjusting their portfolio monthly/yearly, which means their yield will constantly adjust as well trough buying and selling, and as result will never fully take advantage of dividend growth. Their focus is not on dividend alone, and it shows. So your point is exactly ending up why DGI's create their own stock baskets – you can get much higher yield/passive income by avoiding ETF baskets. ETF's are nice products for a quick and easy entry into stocks, but in terms of passive income they are not a good pick. Doing things yourself will let you reach a passive income level post-taxes which ETF's cant even reach before taxes. While 2% or 3% doesnt sound like a big deal, it really really is. You're talking effectively 50% difference – means you need to put in 50% more cash in that ETF to get the same income level. As NMW keeps on buying stocks, it’s difficult to get the exact numbers clear. I mean, he’s aiming for 1500 dividend this year, but is buying new stocks for almost 2k per month on average. But I believe you when you say it’s almost 3% after taxes. VYM has indeed 3% before taxes, I also read that taxes in Belgium are insane. In The Netherlands I pay a lot less. You’re saying that ETFs don’t make the pre-tax dividends that can be made with stocks psot-taxes. However, like I said I would only pay 0.09% broker fee for this ETF. Most brokers calculate near 1% for buying the stocks and also maintenance fee per year, so I assume costs are lower for ETF, also on the long run. Furthermore, with such a spread the risk of losing a significant part of the value of the stocks seems to be lower as well. ETF costs are per year, not per transaction. Be very carefull how you compare those. So that 0.09%, with a buy-and-hold for 40 years, would cost you 40x 0,09%. Roughly 3.6% cost. In reality this is actually much higher, because as the ETF gets you money (value goes up) so do your costs – its based on value after all, not your purchase costs. So if they double your money (yay!) so do your costs (woops..). A typical broker only charges per transaction on regular stock. So even if you were to do highly inefficient buys (say 500 euro buy with 10 euro fee) you would ‘only’ be paying 2% and thats it. So lower risk, definitly etf. But in terms of easier – ETF’s are easy, but how ‘easy’ will it be for you to generate the 50% more cash necessary to reach the same income level?? Actually, the 2% upfront cost might be more expensive than the 0.09% yearly recurring cost over 40 years, if you factor in the growth of your portfolio. That 2% also represents a value that cannot compound for 40 years, so the value lost after 40 years will be much higher than 2%. Pancakes: 2% upfront is tremendously lower than 0.09% per year. In fact, you’re talking nearly 50% difference over the course of 40 years. Simply because the 0.09% is VALUE based, and not COST, the more the stock market increases the more you pay! Putting it into excel, if stock and ETF have the same average growth%, the stock ends up roughly 45% higher over the ETF. Not included the dividends, as you mention you arent focussed on that. As an example, going from year 39 to year 40, with a initial 100% investment and 7% average growth, you’re looking at paying 8.85% on the initial per year by that stage – your total bill would be 140%. So if you put in 500 euro, and the flat fee costs you 10 euro (2%) and the 0.09% variable fee costs you 700 euro over 40 years. Good luck beating the market with that kind of weight on your ankle. And now the worst part. The bill doesnt stop after 40 years. It just keeps on going. You guys stumbled upon a very interesting point that most people forget when they buy into funds, either managed or passive. The yearly costs eats into your returns over time, even with just a 0.09% yearly fee. I understand it’s difficult to get the exact numbers clear. I’ll make sure to report them in the dividend income reports or the quarterly net worth posts so you can follow along. My current yield on cost is indeed 2.8-3% after taxes, which is decent when you consider I pay 15% of taxes on most foreign stocks and another 27% in Belgium on all stocks. While you are correct about upfront costs of individual stocks, it’s not true that most brokers charge you money to keep those stocks. So over a really long time the 1% up front is a better deal than the 0.09% yearly fees. You’re right about the numbers. Net yield for me is a little over 2.8%, which is much higher than the 2% Werken om te leven thinks I’m getting. That kind of yield is unacceptable in my book, even with the relatively high tax rates on dividends in Belgium. I mostly agree with your analysis, but I still believe ETFs could be a good starting point for a new investor. Easy diversification and a quick way to become acquainted with the stock market. Really impressive that you took the time ot read through almost every post, thank you! I hope you got something out of it. Choosing an ETF for dividend income is a viable strategy indeed. It’s something I have looked at, but decided to stick to accumulating ETFs because of tax reasons (27% tax on dividends, no tax on capital gains). Furthermore, while ETFs are indeed diversified, most of the diversification is not necessary and oftentimes contains a lot of junk, especially in special ETFs dedicated to a single purpose (e.g. 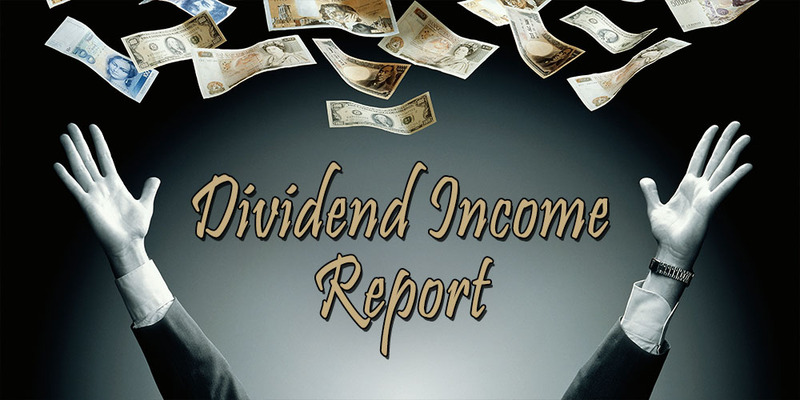 dividend income). Net yield on my current portfolio is a little over 2.8%, which easily beats the 3.2% you refer to since that would be reduced to 2.3% net. As such, I prefer my own selection of stocks instead of a dividend focussed ETF. Either way, both strategies will probably get you where you want, but small variables like tax rates could matter over the long-run. Best of luck with your ETF strategy! I just saw it’s paying off in the short-term already. Plugged the numbers in Excel myself using the values you mentioned (500€ and 7% growth) and indeed, you’re correct that over 40 years 2% upfront beats 0,09% per year. However, the difference is much smaller in my calculation with only a 1,59% difference in portfolio ending value. Could it be you used 0,9% instead of 0,09%? And the starting value of 2% upfront should be 490 (as 10€ is withheld upfront). Indeed, with the above numbers the difference is only 1,59% after 40 years. Even more interesting, it takes 23 years before total stocks > ETFs. My horizon isn’t 40 years, but more in the 20-ish, so for now my conclusion is that ETFs aren’t so bad either. Best of luck with the dividend ETFs!